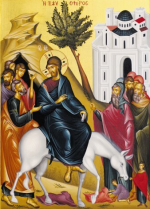 St. Peter’s will hold a Palm Sunday Brunch immediately following Divine Liturgy this Sunday, April 28. Cut off for tickets is this Wednesday (tomorrow). Please call or email Mary Jarvis if you plan to attend (239-263-9292, jamjar4mb@gmail.com). Ticket price is $20. Katina Protopapadakis has graciously donated all of the fish and is directing the cooking and luncheon. Other parishioners will bring salad, drinks, and so forth. The full price of your ticket will be donated to the Tewis family to help them offset some of the costs of Jeremiah’s hospitalization. If you would like to donate more please do. Thank you to Katina Protopapadakis, Mary Jarvis, Mary Copeland and everyone who is working hard to make the Palm Sunday Brunch a success. The final sprint of Lent is about to begin. 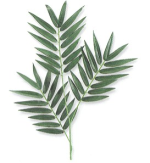 Palm Sunday marks the start of Holy Week. 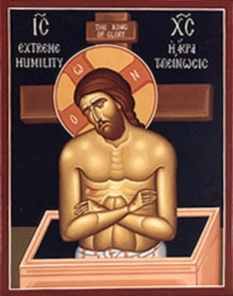 Holy Week is preparation for the final Resurrection of our Lord and Savior Jesus Christ which we call Pascha in the Orthodox world, which of course means Passover. Click here to download a schedule of all services and times for Holy Week. 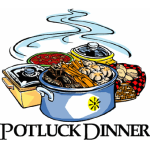 All services will be held at St. Paul’s (get map) except for the Agape Vespers (the final service after the Paschal Liturgy on Saturday evening) which will be held at the Holiday Inn at 11am on Sunday, May 5. 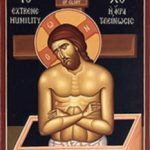 The website of the Antiochian Archdiocese has a good summary of the services and meaning of Holy Week. The Greek Orthodox Archdiocese website has many valuable articles as well. Vow and pay unto the Lord your God In Judah is God known. The Reading is from St. Paul to the Hebrews. Confess to the Lord; for he is good. BRETHREN, rejoice in the Lord always; again I say, Rejoice. Let all men know your forbearance. The Lord is at hand. Have no anxiety about anything, but in everything by prayer and supplication with thanksgiving let your requests be made known to God. And the peace of God, which passes all understanding, will keep your hearts and minds in Christ Jesus. Finally, brethren, whatever is true, whatever is honorable, whatever is just, whatever is pure, whatever is lovely, whatever is gracious, if there is any excellence, if there is anything worthy of praise, think about these things. What you have learned and received and heard and seen in me, do; and the God of peace will be with you. Six days before the Passover, Jesus came to Bethany, where Lazarus was, whom Jesus had raised from the dead. There they made a supper; Martha served, but Lazarus was one of those at table with him. Mary took a pound of costly ointment of pure nard and anointed the feet of Jesus and wiped his feet with her hair; and the house was filled with the fragrance of the ointment. But Judas Iscariot, one of his disciples (he who was to betray him), said, “Why was this ointment not sold for three hundred denarii and given to the poor?” This he said, not that he cared for the poor but because he was a thief, and as he had the money box he used to carry what was put into it. 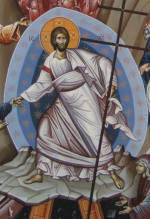 When the great crowd of the Jews learned that he was there, they came, not only because of Jesus but also to see Lazarus, whom he had raised from the dead. So the chief priests planned to put Lazarus to death also, because on account of him many of the Jews were going away and believing Jesus. His disciples didn’t understand this at first; but when Jesus was glorified, then they remembered that this had been written of him and had been done to him. The crowd that had been with him when he called Lazarus out of the tomb and raised him from the dead bore witness. The reason why the crowd went to meet him was that they heard that he had done this sign.